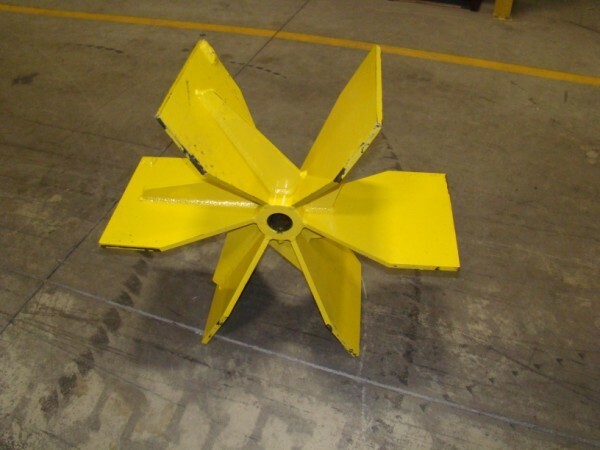 HF Series Material Handling Fans | Honeyville Metal, Inc. Cleaning dust from your workplace’s air is vital to helping reduce employee exposure to potentially dangerous levels of contaminants. 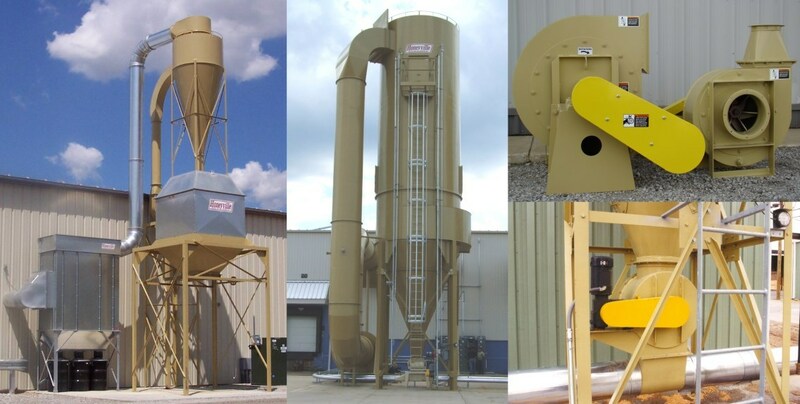 Proper dust collection can mean increased visibility and reduced costs for the cleanup and maintenance of your facility. It also helps you comply with health and air emission standards, reduces the possibility of causing a nuisance for your neighbors and can even help you recover valuable by-products from the air. 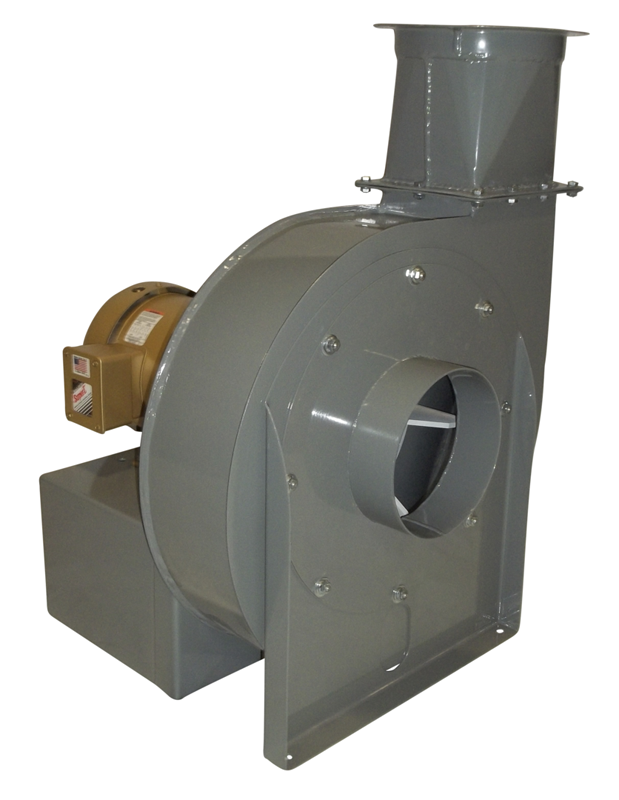 HF Series Material Handling Fans are available in 15 sizes and are designed to be used in applications where material goes through the fan. 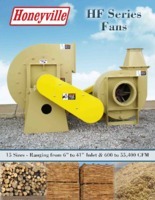 Each HF Series fan conforms to the standards of the Air Movement and Control Association (AMCA) International, Inc.
Honeyville Metal Incorporated certifies that the HF Series Material Handling Fans shown on pages 3-17 of our HF Series Fan Catalog are licensed to bear the AMCA Seal. The ratings shown are based on tests and procedures in accordance with AMCA Publication 211 and comply with the requirements of the AMCA Certified Ratings Program. 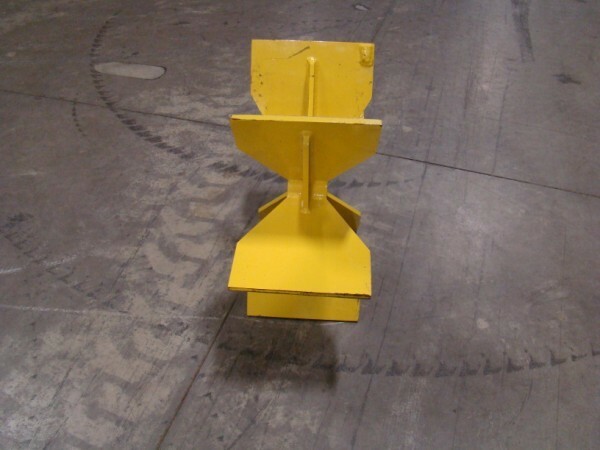 Inlet Sizes - 6" to 41"
Standard Duty (STD): Designed for dry, non-abrasive material with 3/16" or smaller particulate size. Heavy Duty (HD): Paddles are 1/8" thicker than on the standard duty fan. 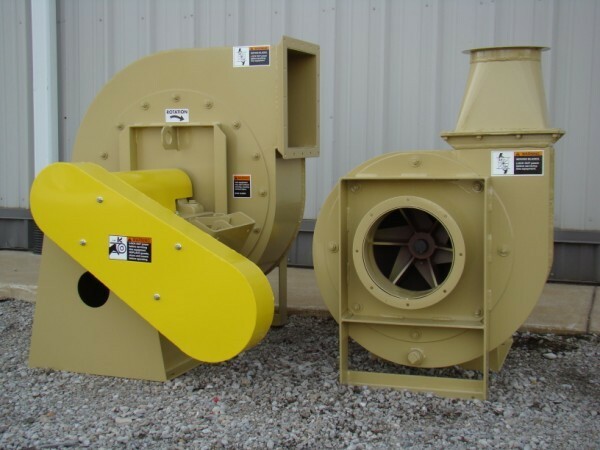 Designed for semi-dry, mildly-abrasive material with 3/8" or smaller particulate size. Extra Heavy Duty (XHD): Paddles are 1/4" thicker than on the standard duty fan. Designed for wet, abrasive material with 3/4" or smaller particulate size. Extra Heavy Duty Abrasion Resistant (XHD-AR): Paddles are constructed of 1/2" AR400F. Designed for wet, highly-abrasive material with 5/8" or smaller particulate size. Statically and Dynamically Balanced All of the HF Series Fans have the wheels balanced in house on our state of the art balancing machine. 6 Paddles per Wheel* Fans wheels have 6 open paddles with a self-cleaning radial design to minimize buildup. 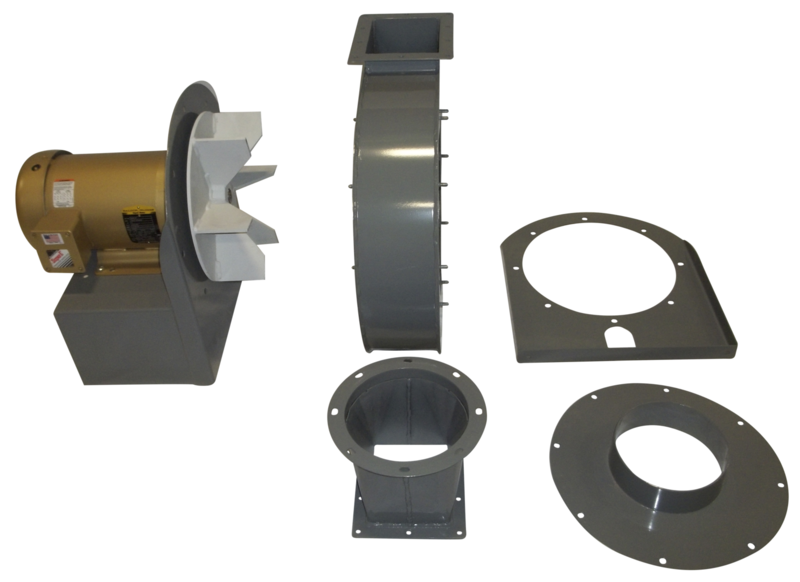 Motor mounts and drive package are available for all HF Series Fans. TEFC Motors Available for fans in 3 to 300 hp. Drain Plug* Installed on units as standard equipment. Pipe: Blow pipe and suction pipe is available in a variety of materials and sizes. AMCA Licensed Performance Charts: Available for download for our complete HF Series Fan line. *Does not apply to the HF6 and HF8 model fans. The table below can be scrolled left and right to view all data. For over 65 years we have maintained our commitment to quality and customer service to bring you the latest technologies and best service in the industry. Copyright ©2019 Honeyville Metal, Inc. All rights reserved. Website by Digital Hill Multimedia, Inc.